Talking about styling, the new Mahindra Gusto 125 looks very much like its 110cc sibling. The basic silhouette of both the scooters is identical. The only visual change is the new front apron which has been redesigned. Also the new 125cc scooter will be offered in dual-tone shade with new graphics while the muffler gets a chrome heat shield. 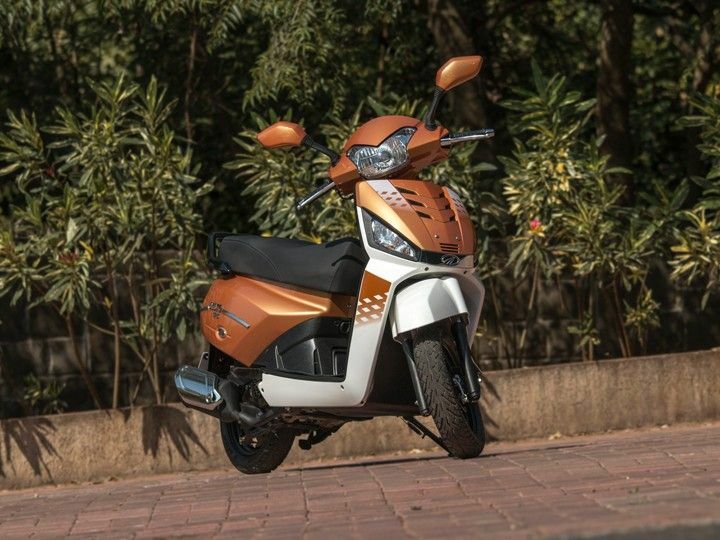 The Gusto 125 carries forward all the list of features as seen on its 110cc sibling. This includes height adjustable seat, remote flip key and LED pilot lamps. Under seat storage is though poor as it doesn’t fit a full face helmet. Powering the new Gusto 125 is a new 125cc M-TEC powerplant indigenously developed by Mahindra. The air-cooled, single-cylinder motor pushes out 8.7PS of power and 10Nm of peak torque which is on par to the segment benchmark – Honda Activa 125. Mahindra hasn’t revealed mileage figures for the Gusto 125 but we estimate it to be around 45-50kmpl in real world conditions. The scooter rides on large 12-inch diameter wheels with tubeless tyres. 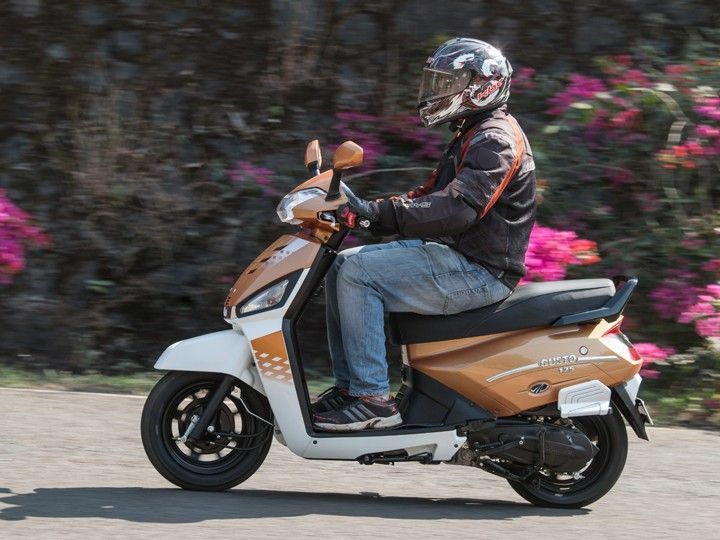 The scooter weighs 123kg as opposed to the Honda Activa’s 125 is 110kg which is disappointing. It has the highest ground clearance in the segment at 165mm and braking is done by disc brakes on both the ends. 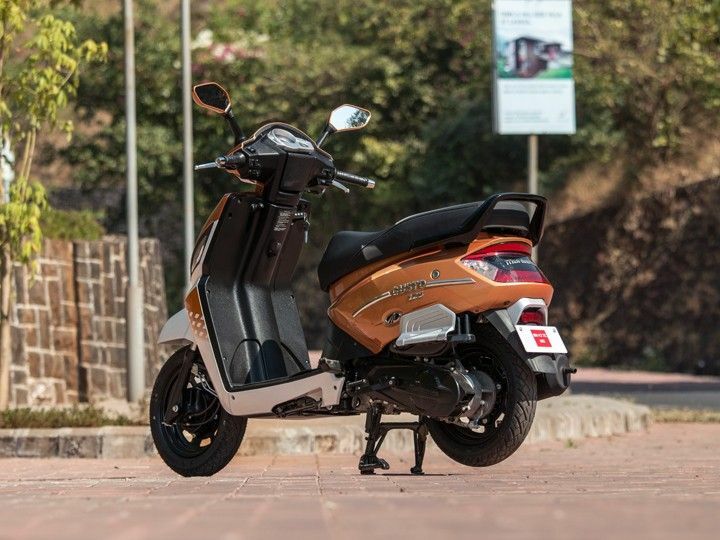 The Mahindra Gusto125 Dx is the standard offering and will miss out on features like height adjustable seat and multi-function remote flip key. If you’re really keen on the Gusto 125, we will suggest you go for the Vx variant as the additional features for a marginal premium is worth it.